Welcome back. As I said last week, it’s been light volume on the CCG blog as we’re preparing to launch our first comic book, Into the Void. In new news… the Facebook page for Into the Void is now up and almost ready to roll. Please take a minute to head over and Like the page to get updates. With that out of the way, it’s onto this week’s picks. Once again, courtesy of Dragon’s Lair in Omaha, this is your look at what the local comic book shop guys here like for the week. Amazing X-Men #9. By: Craig Kyle, Carlo Barberi, Ed McGuinness. Marvel Comics. I actually think this series is pretty amazing. The first story arc was interesting, but I’m so far behind on my comics, that I haven’t picked up an issue since #5. I hope it’s still good. 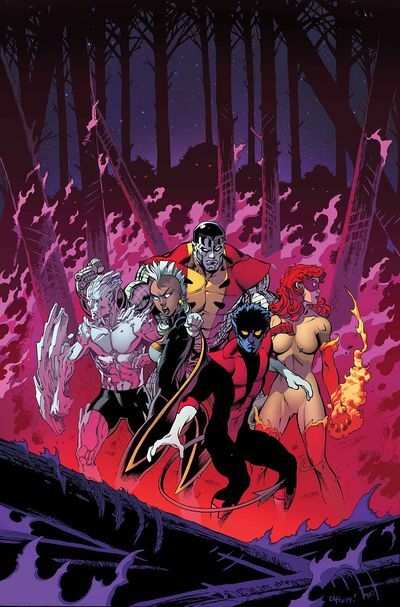 The X-Men and members of Alpha Flight join battle to stop the growing tide of Wendigos from consuming everything and everyone in its path! Whoa. World War Wendigo? That sounds pretty cool. Looks like I need to grab issue #8 from the back issue stock and catch up. 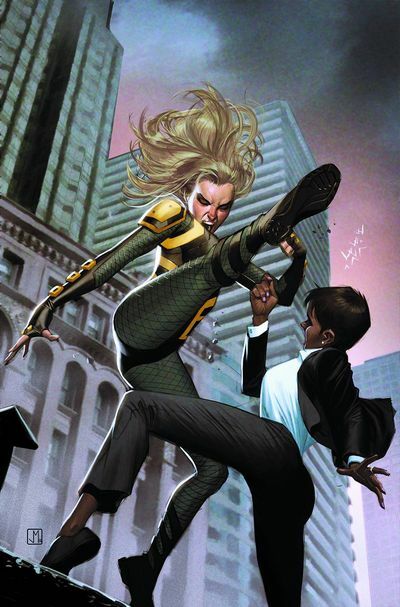 Birds of Prey #33. By: Christy Marx, Robson Rocha, Jorge Molina. DC Comics. Still. I’m intrigued and will probably give this one a long look. New Suicide Squad. By: Sean Ryan, Jeremy P. Roberts. DC Comics. I guess with a name like “Suicide Squad”, you’d have to expect the lineup to turn over quite a lot – hence the “New” Suicide Squad. The world has changed for Task Force X, a.k.a. the Suicide Squad. Director Amanda Waller no longer has the autonomy she once had. New members disrupt the team dynamic. And the team takes on an international scope. 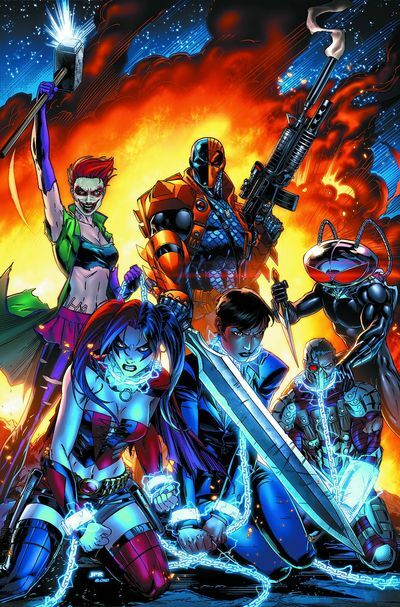 New members Joker’s Daughter, Deathstroke and Black Manta join Harley Quinn and Deadshot for a mission in the most dangerous and unpredictable place in the world: Vladimir Putin’s Russia! What is it with Amanda Waller this month? She’s everywhere, apparently.And the “hot” Joker’s Daughter is really weirding me out.Still, if they shoehorn in Putin wrestling a bear, I’ll pick this one up, too. 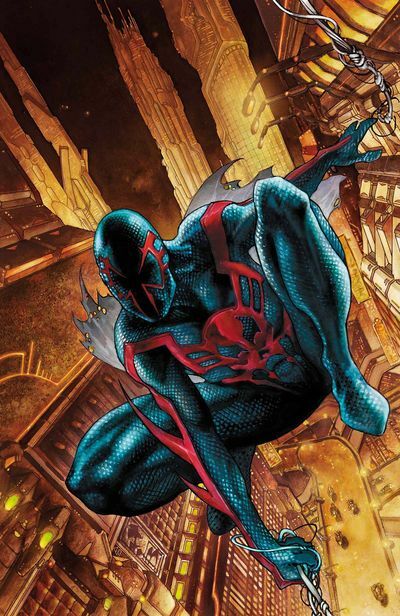 Spider-Man 2099 #1. 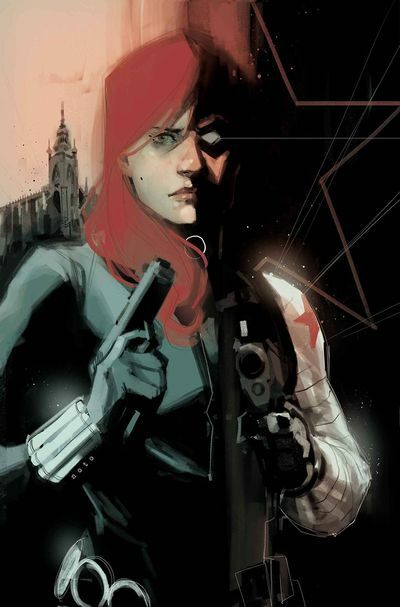 By: Peter David, Will Sliney, Simone Bianchi. Marvel Comics. ALL-NEW SERIES FROM THE PAGES OF AMAZING SPIDER-MAN! The book you have been demanding for months finally hits the stands! Miguel O’Hara is Spider-Man in the year 2099 but he’s currently stuck in the year 2014. He was stranded here by his father who is the head of an evil corporation called Alchemax in 2099. But in 2014, Alechmax has just been formed and Miguel has a chance to stop its corruption before it starts! You’d think being a man out of time would make you a man without enemies, but Spider-Man 2099 is about to discover that he’s not the only one hoping for a better tomorrow, one that might be ensured by The Adjustor eliminating Miguel from the time stream altogether! Join comics legend (and Spider-Man 2099 creator) Peter David and breakthrough artist Will Sliney (Superior Spider-Man Team-up) for the most adventure you’ll find in a book this side of the twenty second century! 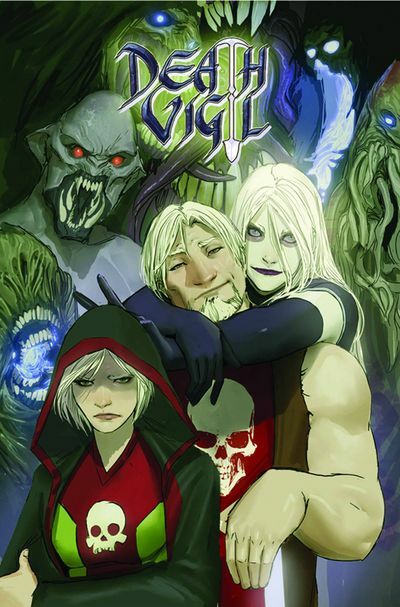 Death Vigil #1. By: Stjepan Sejic. Image Comics. It’s the week of #1 issues. Fortunately, this is a limited series – no continuity to worry about here. Plus, the title sounds like a sweet metal band. Image has a pretty god track record lately, so let’s read more about it, shall we? Forty pages of story and art in this contemporary fantasy adventure series written and painted by STJEPAN SEJIC. Gifted? Join the Death Vigil in their ongoing war against the ever-growing power of the Primordial Enemy! The only catch is you have to die first. Become a corporeal immortal Death Knight and obtain reality-altering weaponry in the never-ending battle between good and evil. You know what? It’s a new limited series from Image. In a slow week, that’s enough for Death Vigil #1 to win the crown for the Casual Comics Official Hot Comic Book of the Week. Thanks again, everyone. And remember to support your local comic book shop. Thoughts on the most talked about title of the week by a reviewer I respect. Does he dig the new Rocket Raccoon? Check out the review to find out. Rating: 5/5 – Rip-Roaring, Rollicking, Space Adventure Fun. by guest reviewer Kevyn Knox. The character of Rocket Raccoon, who according to Rocket himself is not actually a raccoon, was created back in the Summer of 1975, by writer Bill Mantlo and artist Keith Giffen. Throughout the next few decades, besides a 1985 four issue limited series drawn by Mike Mignola, Rocket had pretty much fallen into obscurity, only making the occasional appearance here and there. Then came Marvel’s Annihilation crossover in 2007, and the ensuing Guardians of the Galaxy reboot, and suddenly Rocket was a rock star. 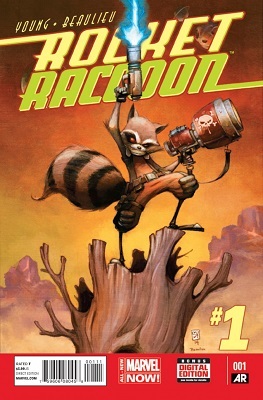 And now, as one of the stars of Marvel Now’s Guardians of the Galaxy book, as well as becoming a movie star later this Summer (through the courtesy of CGI and the voice of Bradley Cooper), Rocket finds himself in a brand new issue number one.